If you are planning on buying an air purifier and have done at least some research on the subject, you might have come across an abbreviation that stands for High Efficiency Air Particulate (HEPA). Most air purifiers have some type of this HEPA filter inside. In fact, the purifiers that don’t have one usually don’t deserve your attention. When I first looked at this abbreviation, I made the wrong assumption that HEPA is a type of filter. However, it is a certain standard that filters must adhere to in order to be proudly called HEPA. What Should a HEPA Filter Do? 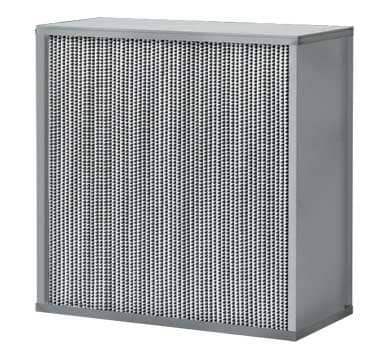 In order to satisfy the efficiency standard set by US department of energy and US National Institute of Occupational Safety and Health, a true HEPA filter must catch from the passing air 99.97% of the particles, which are 0.3. microns in diameter. Now you can see that by trapping particles 0.3 microns in diameter, a genuine HEPA filter does a perfect job cleaning your house from all the dangerous pollutants such as pollen and allergens that contaminate the air you breathe. That’s why when it comes to choosing the right air purifier for your household, I would recommend reading the specs closely. By proudly calling their filter HEPA, the manufacturer might imply the H10 HEPA, which is not a good choice if you are an asthma sufferer, have allergies, or struggle with high smoke levels in your home. You should always choose your air cleaner based on your specific needs. For example, if you’re a smoker, you need an air filter for smoke removal. Look for HEPA filters that have H13 or H14 classification. You can also find another HEPA rating, which goes from A to E, where A is the least effective filter and E – the most effective one. E-class HEPA filters are military grade filters. They can deal with chemical and radiological particles. Such filter is not necessary for a household. In fact, you probably don’t have a chance of finding one of them in an air purifier. Look for B and C HEPA ratings. They are the most suitable for your home. A-class HEPA can also be satisfactory since it satisfies the basic HEPA requirements. I was especially interested in how this filter works since the ability to catch such small particles seemed truly magical. It turned out that there is nothing too complicated about the process. I’ll try to explain it in the simplest terms possible. 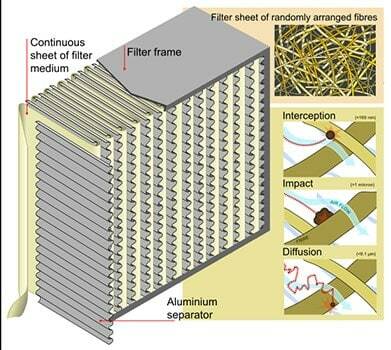 Interception – particles that are flying around your room come close to the fibers of the filter thanks to the airflow. When they come within one particle radius, they are drawn in and stick to the fibers. Impaction – Large particles can’t quickly adjust to the changes in the air flow direction. The inertia forces them to fly directly into the filter fiber. Diffusion – This one is a bit more complicated. Most of the molecules travel in straight lines unless they bump into each other. However, in your room, there is so much bumping going on, that they start moving randomly. Such random movement is called Brownian motion. Small particles, 0.1 micron in diameter and less, make random motions since they bump into randomly flying gas molecules. The gas molecules slow down the motion of small particles and make them likely to be caught by the filter fibers. It’s important to note that Interception and Impaction deal with particles 0.4 microns in diameter, while Diffusion deals with 0.1 and smaller. Meanwhile, the particles 0.3 microns in diameter are the hardest to catch. That’s why classification societies uses the particles of such size to grade the HEPA filters. As you can see from the above information, HEPA filters deal with the smallest particles in your household air. However, they do absolutely nothing for such large particles as odor and chemical vapors. That’s why most air purifiers are equipped with an activated carbon filter besides the HEPA filter. Activated carbon filter deals with odors and chemical vapors. While a HEPA filter seems to be a perfect solution for your household, there are some drawbacks that you need to be aware of. Some HEPA filters are washable. You might think that they save you money. They do. However, they also do a much less effective job than replaceable ones since they are porous and let more polluted particles through. Considering the above disadvantages, HEPA are still the most effective filters for an air purifier. You just need to be careful with the maintenance and pay special attention to each filter’s properties. When you are looking through the air purifier specs, you might find that some have an HEPA-type or HEPA-like filter. Beware! These filters have nothing to do with the HEPA filters I described above. Some manufacturers use the HEPA marking to mislead the buyers into thinking that they are purchasing a good-quality product. However, what you’ll be getting is a poor copy. HEPA-type filters usually deal with about 25 – 80 % of the particles 0.3 microns in diameter. Such results are not acceptable for most of the households. HEPA-like filters are much cheaper. 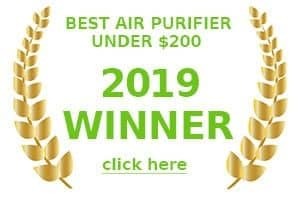 That’s why if you are looking for a moderately-priced air purifier, take a close look at the type of the filter it comes with. You might save money but you won’t get clean air in return. Take a closer look at the label on the air purifier box. The manufacturer might write ‘HEPA type’ filter on it in order to mislead you. The HEPA letters will be large and the “type” will be so tiny, you might overlook it. The main difference between the fake HEPA filters and the genuine ones is the density of fibers. This is what makes the “cheaters” ineffective. Besides not doing a proper job cleaning the air in your home, they might become dangerous. 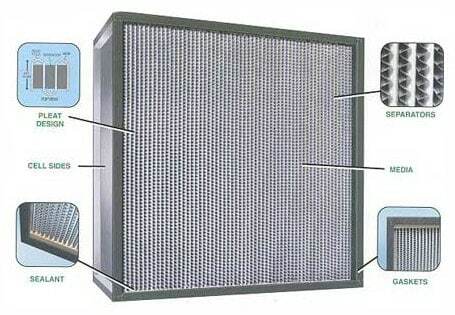 Such filters let plenty of contaminated particles through and they are often stuck on the air purifier inside walls. Mold spores and bacteria grow on the walls and the air keeps running through them, bringing the harmful particles back into your room. On the flip side of this though, we now have some units like the IQ Air healthpro plus that have now designed a patented super hepa filter that’s apparently 30% more efficient than a regular one. HEPA filters have been around for over 50 years. As often is the case with such popular inventions, there is no single person that can get the credit for the filter. Fiber-based filtration systems first appeared as part of the Manhattan project. They were created to deal with radioactive particles. After the WWII was over, Kaus and Manfred Hammes from Germany used the technology to create the first cheap filtration systems that dealt with airborne soot particles created by coal-operated stoves. The technologies have been quickly evolving since that time to bring the highly efficient filters we use today. HEPA filters are not just used in the household appliances, such as air purifiers and vacuum cleaners, they can be found in surgical rooms, biological safety cabinets, healthcare facilities, museums, libraries, airports, and many other places.